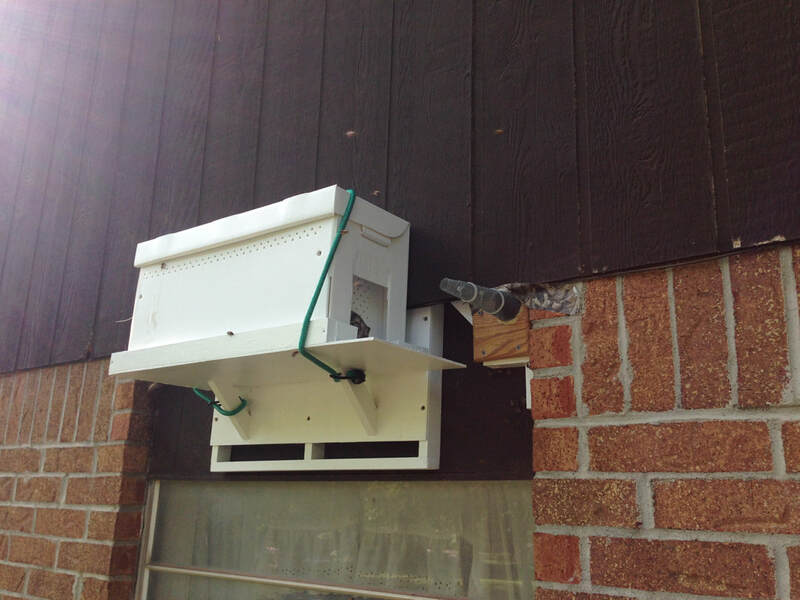 Predator Impact can meet all of your honeybee abatement needs. 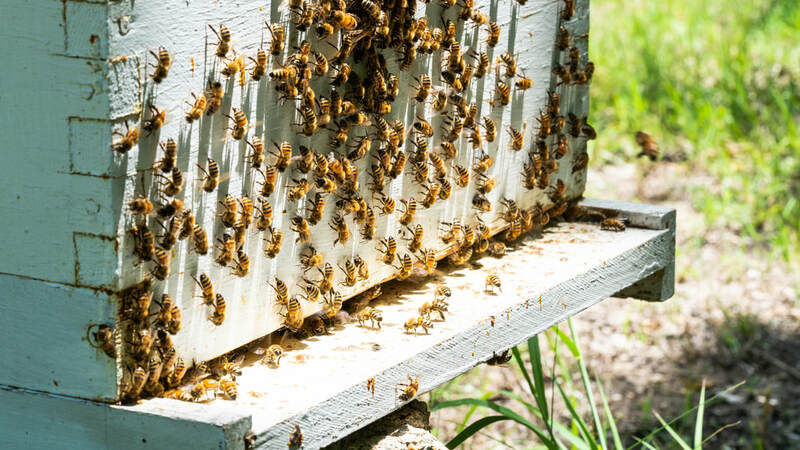 We can remove swarms or balls of bees that show up on your property, but our specialty is removing honeybee colonies that have taken up residence in a home or building. A "Trap Out" is a longer process where we seal up all the entrances to the hive but one. We then place a one-way door over that opening that lets the bees come out, but they cannot get back in. We then place a new hive as close as possible near the opening. When the bees cannot get back into their hive, they move into the new hive. This process is repeated 1-10 times depending on how large the colony is. Each hive removed becomes a new hive of bees in a world that needs more bees. Once all the bees are out, and all the baby bees have hatched and come out (typically about 8 weeks) we remove the one-way door and replace it with a special screen that allows worker bees to enter the structure, but not a queen. 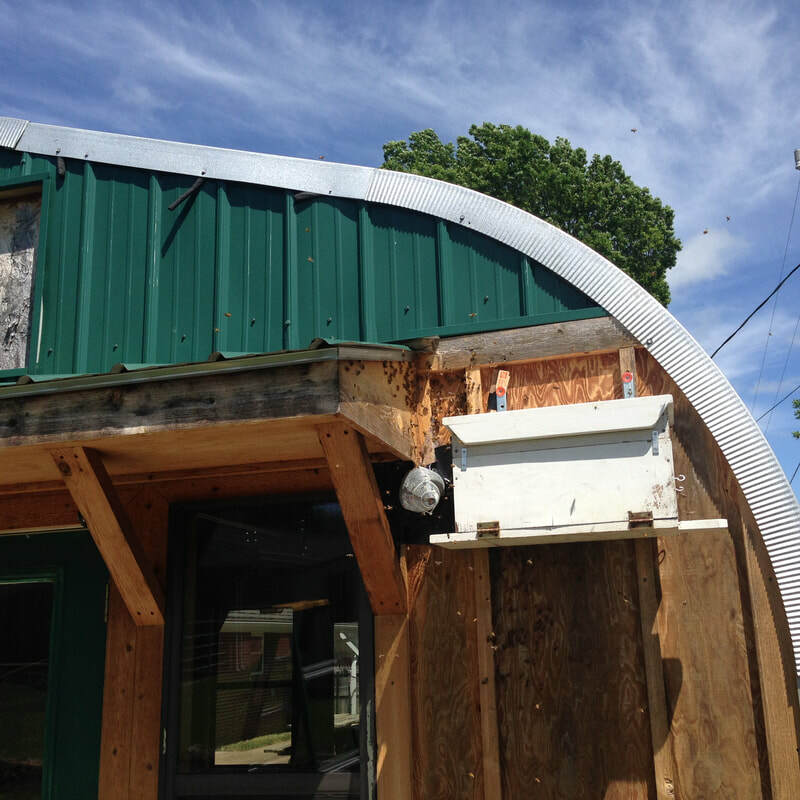 This prevents a new swarm from taking up residence, but allows wild bees to enter the structure and carry out all of the honey. They will literally lick every square millimeter of the old colony to remove every drop of honey and carry it back to their hive. The entire process can take as much as 8 months, but when you are finished, there is some amount of clean beeswax in the wall, but no dead bees, no larvae, and no honey left in the wall. There is little or no repair cost once we complete the job. The cost typically runs from $250-$1,000, but that is the complete project cost. Distance from our offices is a major factor in the cost of a trap out. 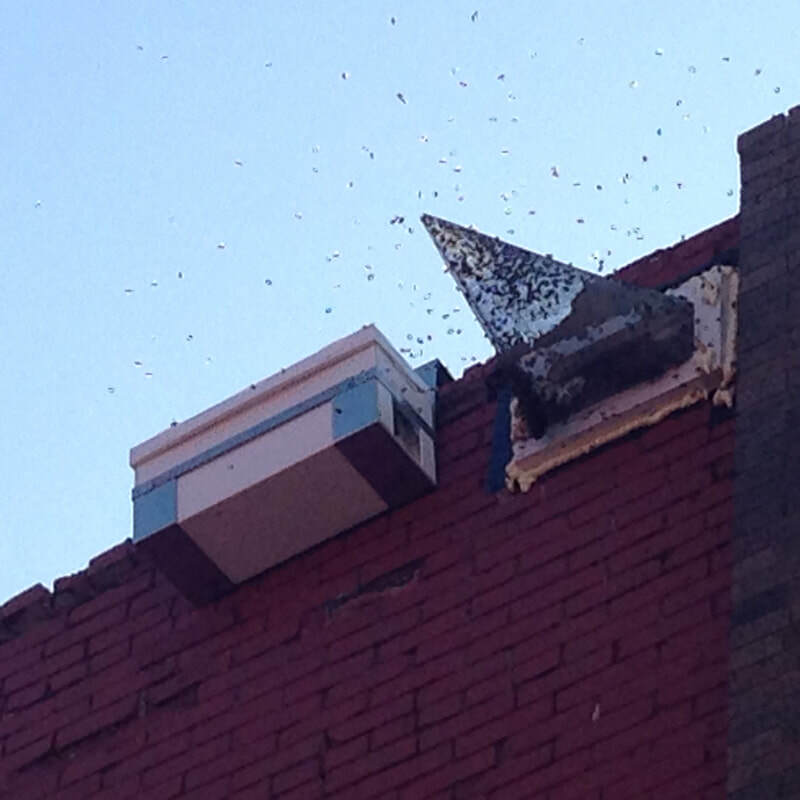 "Mark gently over months saved millions of bees that made a hive in my brick wall. Unbelievable. I could not find anyone to help me for 3 years. Mark took the bees home and saved them. Great person and knows what he's doing." We gladly remove swarms and there is no charge! The bees are relocated to a permanent home where they can do what bees do best! The colony that we remove will be permanently relocated. They will have a new home in our bee yard many miles away. 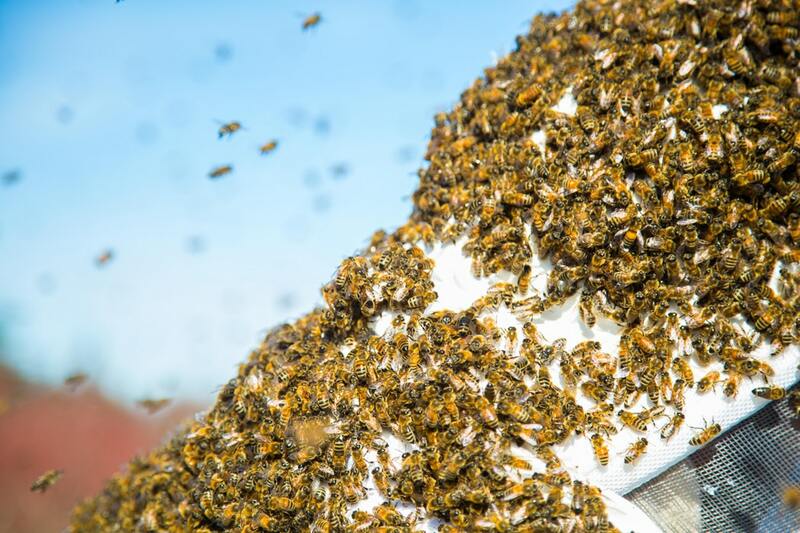 However, the same features that made your home or building attractive to this swarm are likely to be attractive to another swarm the next year. We will seal up the opening that the colony used when we leave and any other obvious openings in the immediate area. 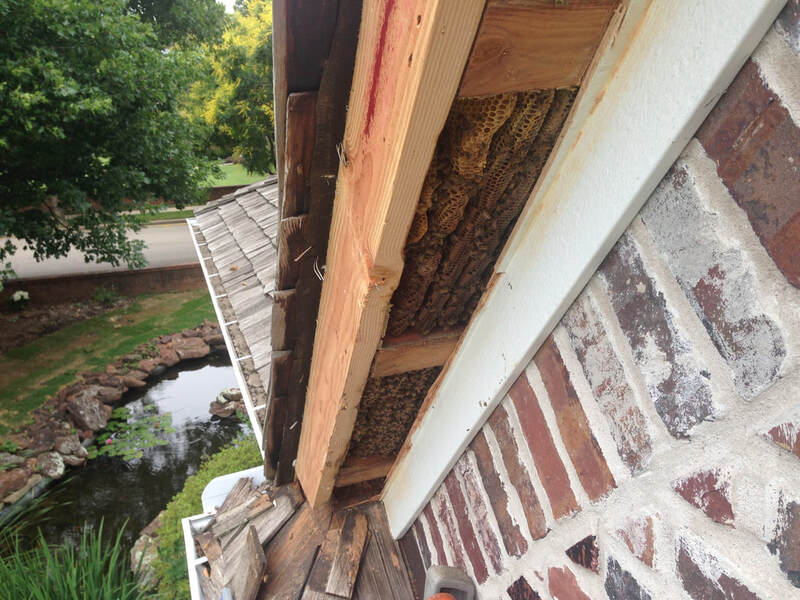 We do recommend that you look over your home carefully or hire a contractor to do so, and seal up any cracks or openings that are big enough to allow a new swarm to move in.